You don't have to use the mobile Google Search app to add reminders. Just search Google for add reminder or create reminder, enter a name, a date or a place. 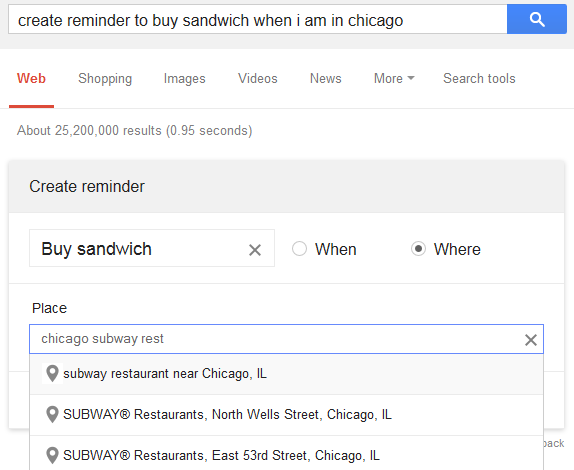 You can also enter specific queries like: add reminder to buy milk tomorrow or create reminder to buy sandwich when I am in Chicago. 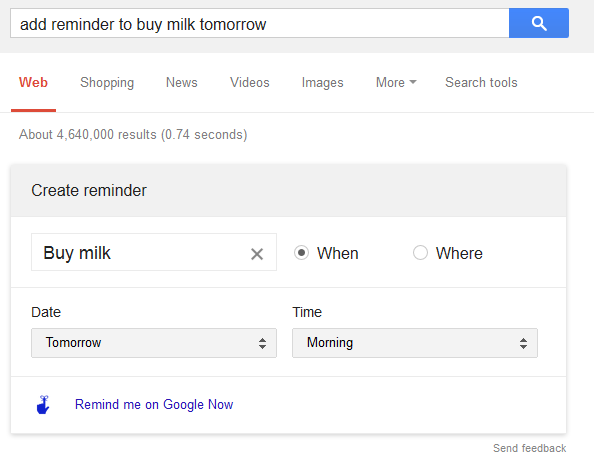 Just click "remind me on Google Now". You can create reminders for tasks, places to visit, events and more. You're notified of your reminders in Google Now, which works in Android, iOS (using the Google Search app) and Chrome for desktop.